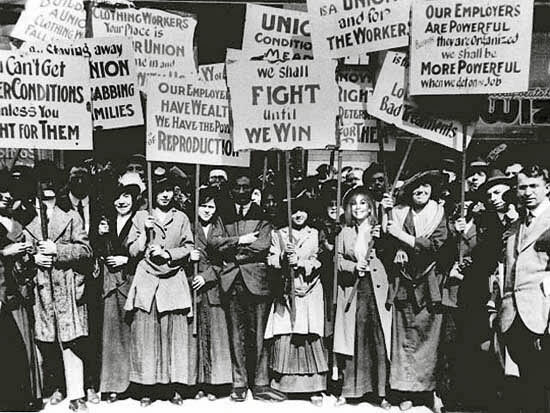 Back in 1912, 23,000 textile mill workers—mostly women, mostly immigrants—went on strike in Lawrence, Massachusetts. They fought for better wages, paid overtime, but also for a shorter workweek (at the time 54 hours). Their slogan, born in a poem and later enshrined in song: It is bread we fight for, but we fight for roses too. A century later, journalist Ann Crittenden writes, The dream of a life with time enough to smell the roses seems farther away than ever. Americans now work more hours annually than workers in every western European nation except Greece and Ireland; more than Australians, New Zealanders and even the Japanese. In part that’s because we take fewer paid vacations and holidays. French law assures six weeks of paid vacations a year. Germany guarantees almost five weeks of paid vacations and another 10 paid holidays. Japan? Two weeks paid vacation. What does U.S. law say? You’re on your own. As a result, a quarter of American employees receive no paid vacation days at all. No wonder the U.S. has been called the no-vacation nation. 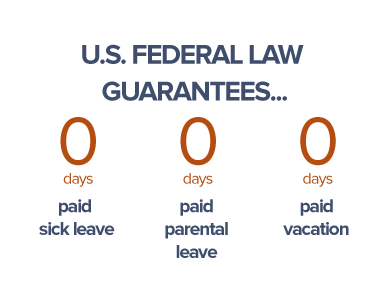 The U.S. is also the sole advanced economy not to guarantee by federal law any paid maternity or family leave (though three states do offer up to six weeks family leave and legislation is pending elsewhere). 40% of new mothers return to work within three months of giving birth. As for paid sick leave, almost 40% of U.S. private sector workers, mostly low-income, lack even a single paid sick day. They face the Hobson’s choice of going to work sick or losing a day’s pay. 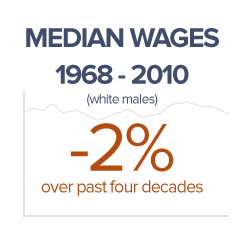 Another reason for the extra hours Americans work is low wages, which compel many to find a second job. 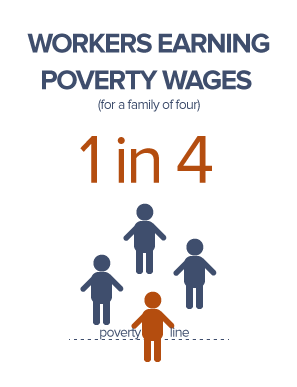 One in four of all U.S. jobs pay poverty level wages or less for a family of four. Meanwhile, salaried workers often feel pressured to put in long days and work weeks; no U.S. law restricts how many hours a company can require an employee to work. Back home after work, working mothers spend almost twice the time doing childcare and housework as fathers, what sociologist Arlie Hochschild dubbed the second shift. The result: More work, less time, no roses. Certainly less time to be sensitive to babies and young children. It’s hard to provide the appropriate, responsive serve-and-return interactions children need if you’re feeling exhausted, anxious and burned out. Parents lack time—for ourselves (can you remember what that feels like? ), for our children, our partners, our friends and our communities. Perhaps most troubling, many believe this is normal , just how things are, rather than the result of political decisions. Perhaps it’s time to take back our time. We need bread—and time to smell the roses too. 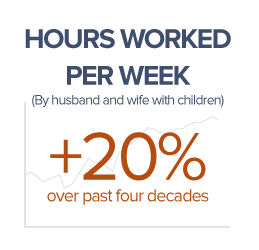 While parents are working as hard if not harder than they used to, they aren't earning more and certainly are not feeling more relief from the stress of balancing work and family.